Okay, it is less than a week to Christmas. I’ve taken a vacation day today, so I can get some things done before Christmas. I’m going to blog a smidge because I haven’t in over a week. There is less time to Christmas than days since my last blog post. I feel like I should freak out now. Though I have some shopping done, I’m not finished yet. We have partly decorated for Christmas, but aren’t finished yet. We got an adorable tree from the tree lot where my daughter volunteered. It was one of the largest trees in the small-tree category. It is beautifully full and nicely shaped with a good top branch for the star. I love the smell of fresh-cut trees. If I put my fingers into the tree water to check its depth, my fingers smell awesome. (I know, that sounds kind of weird, right? But it’s true.) The tree water is like some kind of beautiful fragrant, cold-brewed tea. We have a smallish artificial tree that we purchased several years ago. We used that last year. It’s getting kind of sad looking. Some of the branches are a little droopy (because the cat likes to climb it) and the fake needles are falling off as much or more than any real needles. Plus it smells so not fresh. It smells like the storage area and old cardboard. Not really something that brings to mind the holiday spirit. I’d need some Glad spruce-scented spray or something to make that one a little more appealing. I should probably dig it out of storage and pitch it. We went to a wonderful Christmas party on Saturday night where we got to see good friends and eat yummy food. I want to eat more yummy food and see more of our friends. Things get busy. Sunday my daughter’s Girl Scout troop made and decorated Christmas cookies. More yum. The past week had some extremely cold days, so if my tomato plants had any life in them at all before they are now completely done for the year. I rescued a few small plants from the balcony and brought them inside during the extreme temperatures. At least it felt like winter while we were thinking about Christmas. I left one squash out on the balcony which froze rather solidly. It was like a big rock. I could probably take out zombies with that squash. Do not drop it. Once thawed it needs to be eaten or cooked quickly. So we made a large pot of squash soup for dinner yesterday. The good part of partially freezing is that once thawed, the squash softens up some, so it is much easier to cut than fresh and raw. But I think generally squash tastes better if it is cooked before being frozen. The squash soup makes a nice compromise. Plus it’s super healthy. 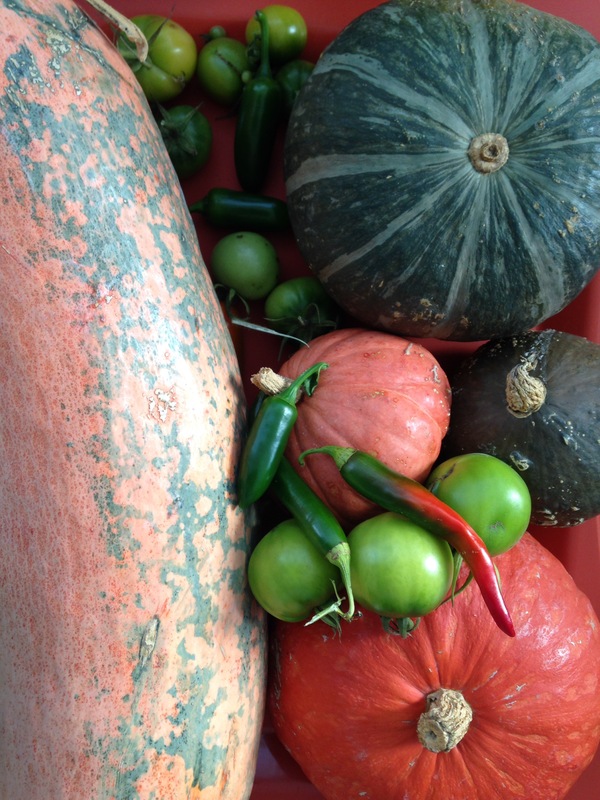 Today I still have more squash to use up. We’re still debating if we should see Santa at the mall this year. We’ve been every year since my daughter was tiny. Now that she’s a teenager, we almost didn’t go last year. But then we did and it was cute. Except that there was a TV crew filming the Santa at the mall. That turned out to be kind of fun and kind of embarrassing for my daughter. Our mall has had the same man-in-the-red-suit for many many years. So he’s in all of our photos. It was only natural to go back there. I guess the TV crew had the same idea about Santa and was filming a piece on Santa at the mall since he’s been there so long. They didn’t want to use a small child in the piece, so they used my daughter. It was also timing — she just happened to be the next, older child in line when they were filming. It looked cute. She looked very nice on the local TV station. I have reassured my daughter that odds are extremely good that the same thing won’t happen again this year. My biggest hesitation is the line. It’s always massively huge. I hate to take up so much time just waiting. (Though I can bring electronic devices for playing games or writing, so it’s not that bad if I plan it right.) But we missed out on making a reservation since we weren’t sure if we were going. Now that we might go, we’ll have to wait in the line. Hopefully, we can go during a weekday when the line won’t be as long. My daughter has been busy making lots of peppermint bark for gifts and dipping pretzels in chocolate too. We get to eat all the mistakes and “test” the non-mistakes too. 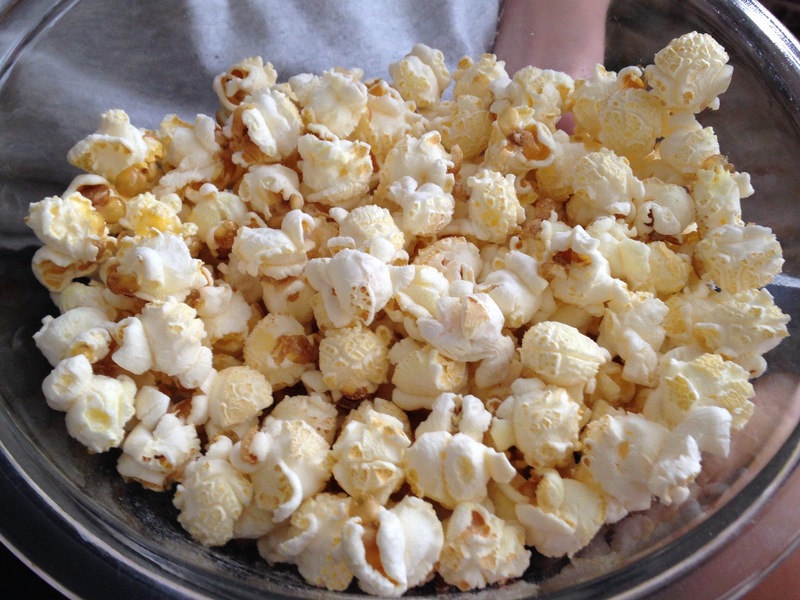 We have very happy taste buds right now. She made more this morning. I need to go find a tin to put it in. Hope folks are having a great week and enjoying lots of yummy things. World’s best peppermint bark. I could eat the whole tray myself. This has been one jam-packed week, and it’s not over yet. Last Sunday evening my daughter volunteered for a late shift at a Christmas tree stand for her service club. We almost got a tree then, but I felt like I needed to get the car ready and a spot ready at home. Plus I couldn’t decide on a tree, and the stand was closing at that point. Monday, my daughter had rehearsal for the orchestra winter concert. And later that evening I had to run some errands because I knew I wouldn’t be able to run any errands on Tuesday (or Wednesday either for that matter). Tuesday was the Winter Orchestra Concert. Traffic around the mall was horrible. It’s extra bad this time of year. The mall is between my office and the school and home. Plus it was pouring rain which is always bad for traffic. It’s like we’re getting pre-melted snow. Traffic is instantly bad. I mean, worse. So I didn’t have time to pick up Dave to get him to the concert with me (he doesn’t drive). So I was there by myself, and he missed her first cello solo with the orchestra. Gah. The concert was great! I only partly messed up the video. My phone doesn’t do well when taking long videos. Part of the video just freezes. Last time I tried to bring my iPad for recording. But I accidentally pressed the time-lapse button instead of the regular video button (and I almost dropped it on the floor). So the entire video plays back in fast forward and with no sound whatsoever. This time I have most of the sound and most of the motion too. That’s better. The school always has wonderful concerts, but it was raining so it was all a little messy. I managed to buy the CDs from both this winter concert and the fall concert. I keep forgetting to bring checks with me, but I had enough cash since I didn’t buy the Christmas tree on Sunday. Sometimes things work out that way. Wednesday morning I was stressed I had so much to get done. Some of it done. Wednesday evening my office had its annual Christmas party. It was very nice. We had a yummy buffet dinner with an assortment of proteins, salads, and pasta. Then, pumpkin cheesecake for dessert. We presented a plaque to the founder of the company who will be retiring from active consulting at the end of the month. He’s been doing this for 40 years! We finished up with a White Elephant gift exchange. I got a book called, “Infuse.” I’m going to have to try some of the suggestions. The most popular items exchanged were a bottle of Girlshine (like moonshine, but a kind of brandy) and a pair of messaging slippers that looked like giraffes. We had fun. So by Thursday, I was still trying to get things done that I would rather have had done earlier. Plus my stomach was giving me trouble (maybe I’ve been drinking too much caffeine recently. I know I can’t do that). By Thursday evening, I had playoffs in our pinball league. I only made it to D division this time, but I made the playoffs. So yay. And I came in second in the payoffs, so I got a nice prize pick. Double yay! Friday was here before I knew it. Barnes & Noble bookstores were having a Harry Potter Holiday Ball from 7:00 to 9:00 pm. Which I really wanted to go to, but apparently not badly enough to actually brave the cold and the traffic and parking at the mall this time of the year. Plus I was kind of tired. 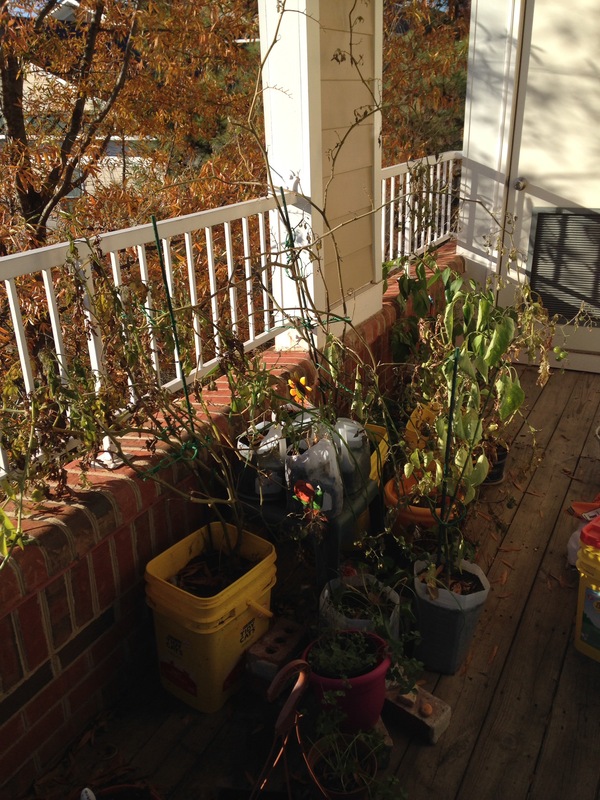 I carried a few more plants in off the balcony since the overnight temperatures were getting so low. Our balcony stays warmer than the average area temperatures, but once it gets into the 20s things start to freeze even there. I’m pretty sure most, if not all, of the tomato plants are toast at this point. Those are just too large to carry inside. Last year they lasted into early January. I picked some green tomatoes which may or may not ripen (or get fried or pickled). Rescued squash assortment plus green tomatoes and peppers. Feeding the more adventurous of the area wildlife. 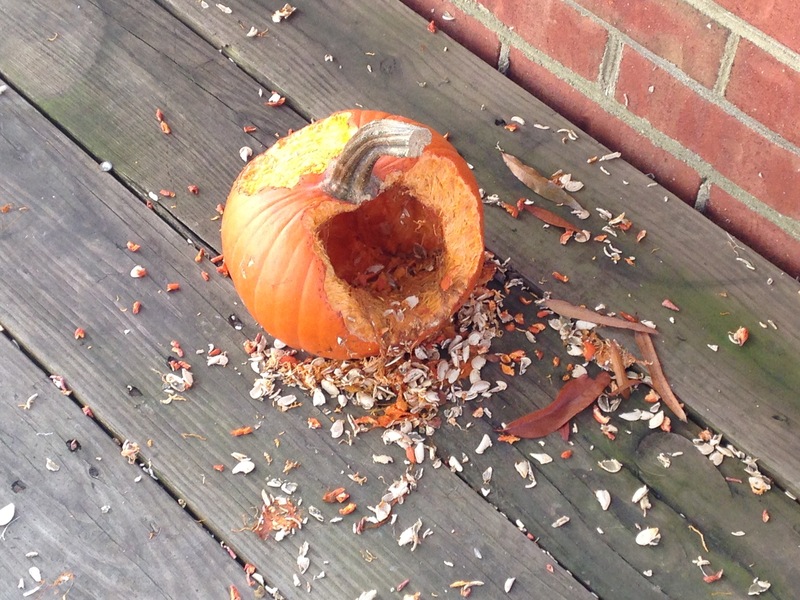 Mr. Squirrel has returned so many times that the pumpkin on the balcony looks like it exploded. I carried most of the other squash inside so they wouldn’t freeze. There was a pigeon or dove on the balcony. He few away when I went outside. I think the bird was eating pumpkin seeds now that they’ve been released. I still think a squirrel has been our main nibbling culprit. He’s probably the American Ninja Warrior of squirrels and pumpkin is his reward for getting four floors up on a smooth-sided building. I really miss blogging or writing every day that I don’t do any. I think I’m addicted. November was a better month in terms of actually getting writing done. I knew there would be times in December when it would be harder. This week was certainly one of them. So here it is Saturday. Saturday! I don’t know how it got here already. It was just last weekend for cryin’ out loud! Today, my daughter has a cyber security competition of some sort and will miss dance class. I’ll need to drive her one way or the other. I really, really need to get my oil changed and my tired tires rotated. 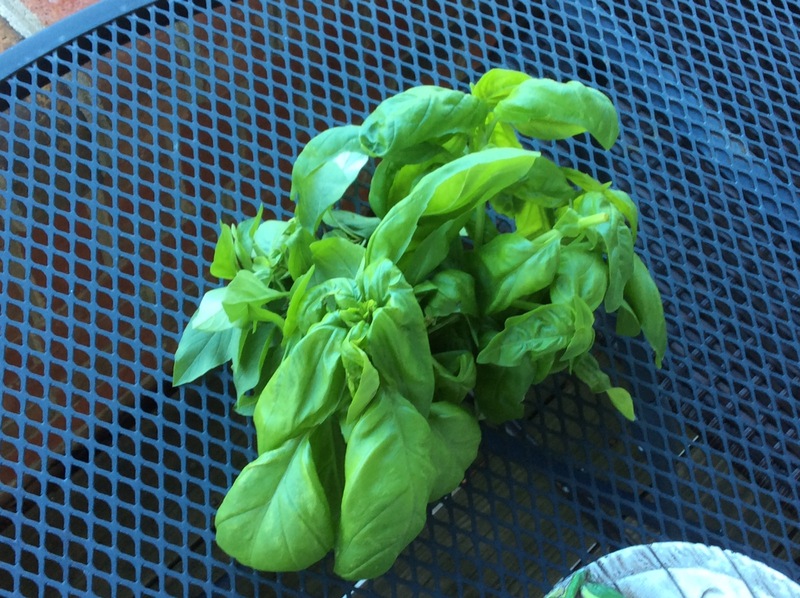 Hopefully, I’ll get my blog post done for “Size Matters: Notes from the Balcony.” I’m working on the part covering herbs. But I’ve grown a lot of herbs, so the list is pretty long. It might be wise of me to make break that post into two parts. I hope everybody had a good week, has a great Saturday and has a wonderful weekend overall. In my balcony garden I’ve established that you’ll have better results if you use larger containers. It’s a good idea to use plants that won’t grow too large too (though you can sometimes break that rule). And full sunlight is best for most edible plants, but a few tolerate some shade. Tomatoes and peppers especially need lots of soil and sun. Greens might be a little forgiving with some filtered sunlight. They’ll perform better — grow larger with larger leaves — in larger pots, but some will survive in less-than-ideal containers. 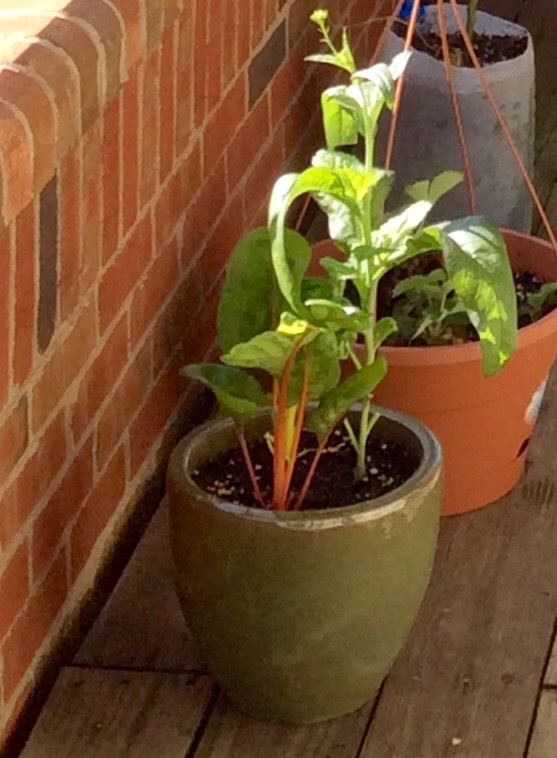 Swiss Chard is nutritious and pretty easy to grow. I tried some lettuce and arugula this year. I only planted a little because I wasn’t sure how it would grow in a container garden on my balcony. Lettuce – Little Gem. I think I meant to grow more than one lettuce and then didn’t. Little Gem is a small variety of romaine. It had a mild taste that would work well with any kind of lettuce mix. I let it get some shade. It may have thrived better with full sun and with more room too. Even with a little shade it still bolted in the heat of summer though not as quickly as my Japanese Giant Red Mustard plants. I should probably have started the lettuce seeds earlier in the season. Arugula – I planted two types of arugula. I love that taste of arugula so I was happy that it grew for so long. It seemed to be okay with a little shade too. One type was, Arugula Rocket Salad (Roquette) which has nice peppery leaves that look a lot like the arugula I might buy in a grocery store. I love the taste of arugula. These grew larger than the other variety. So I guess that’s good. It resisted bolting for a while. I think it started to bold, but has slowed down now. It’s still growing a few small and tasty leaves. The other, Arugula Wild Rocky Organic (at least the seeds started organic and I mostly grew the plants that way). This is a fast growing arugula with a strong flavor that I happen to really enjoy. The leaves grew smaller and finer than the other variety. This made the plant look almost frilly or lacy. It adds pretty texture in a salad with other greens. It grew similarly to the other arugula as far as growth and bolting, but more of this variety bolted. But I’m still getting a few small leaves. Overall for container gardening I’m not sure the lettuce was worth the fuss. Space is at a premium. I may try it again though because I love the idea of walking out and picking a salad or a few leaves for sandwiches. If I do, I really need to plant earlier. 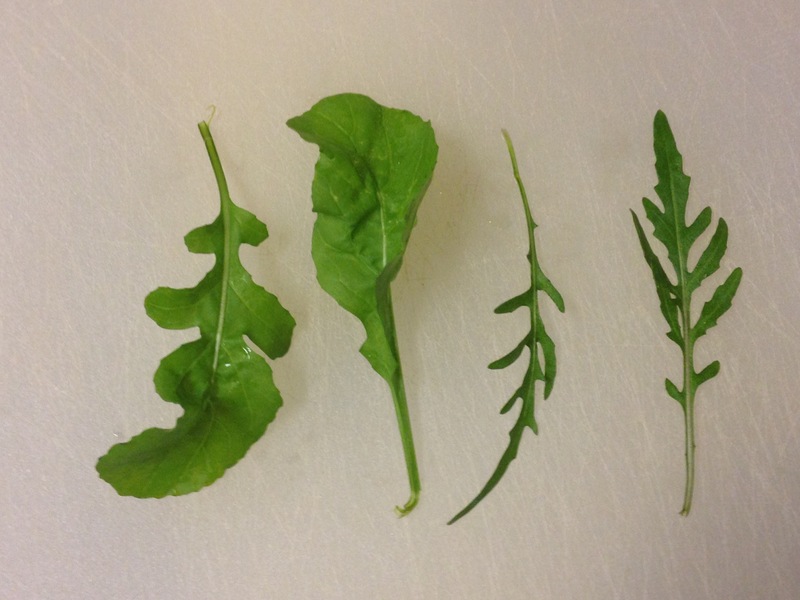 Arugula – two varieties Rocket Salad (left) and Wild Rocky (right). Picked this morning. I like pumpkin-spice flavored coffee creamers this time of year, but they are leaving stores in favor of winter holiday flavors like peppermint mocha. 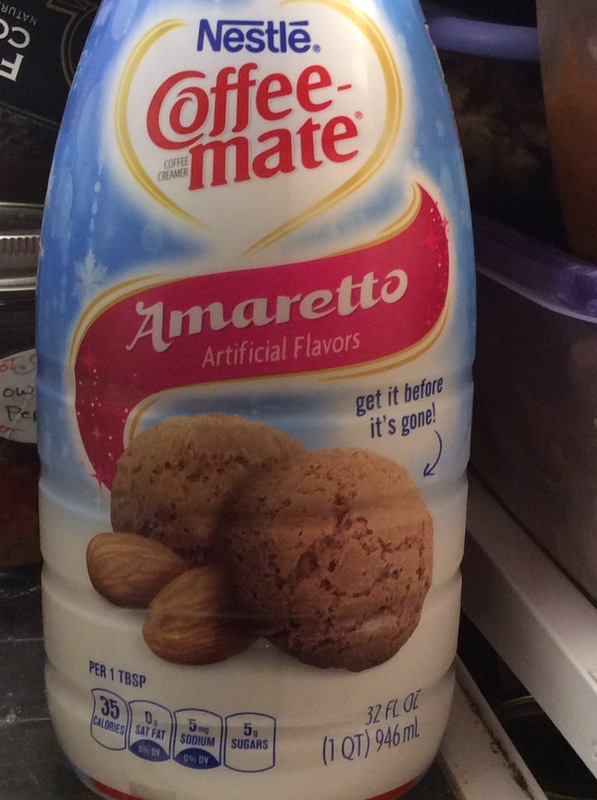 I saw Limited Edition Amaretto and thought it might be worth a try. I didn’t look closely at the label until this evening. I was curious if the Almond flavor was “natural” or artificial. It is both. And Genetically Engineered too apparently. Now I’m curious as to which ingredient or ingredients are genetically engineered. I would not have thought that genetic engineering was necessary in a coffee creamer. Though I’m not sure what I expected. Most flavored coffee creamers never really promised to be all-natural and from the earth (although it’s not exactly from Mars either). I always think of products (especially fruits and vegetables) as being GMO or not GMO, so maybe this is the label for that? I guess I’m glad they let us know… I don’t think I mind. (But I’m still thinking about it.) So are the almonds genetically engineered? Maybe I should just pick up a carton of actual cream next time. Or have tea and no cream. Or just enjoy this tasty, genetically-engineered coffee creamer and not worry about it. I wonder if actual Amaretto is genetically engineered these days too. 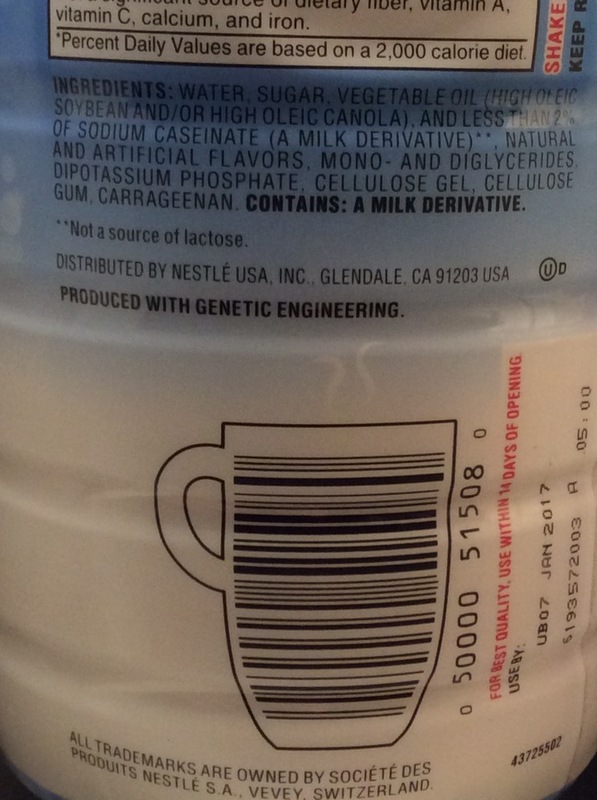 Produced with genetic engineering and a really cute coffee-cup shaped barcode. 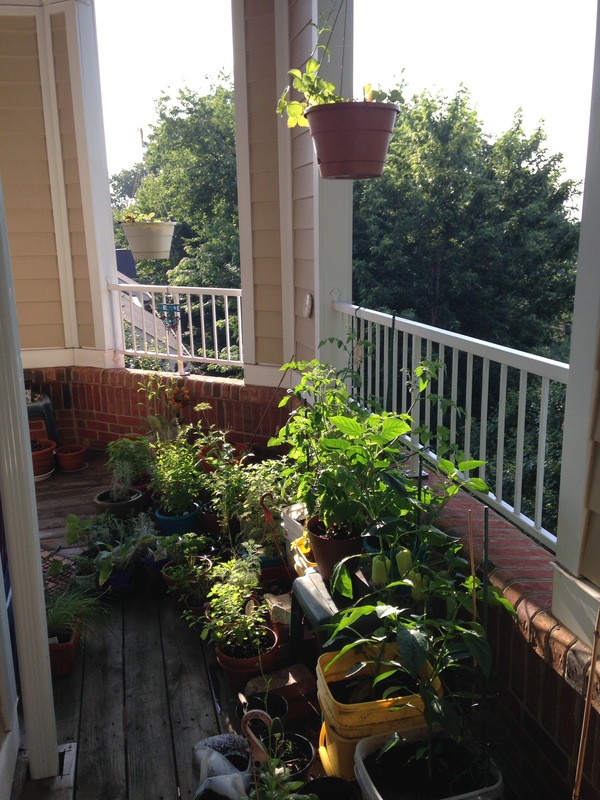 In my previous notes on balcony gardening (here), size matters in container gardening which is pretty much the only way to garden if you want to grow stuff and don’t have a yard or land. Container gardening is also helpful if you have a yard but poor soil or no sunny spots where you do have soil. Containers allow you to put your plants in the sun on a patio, balcony, deck, or front porch or even move them (within reason). You can extend the growing season by bring cold-sensitive plants indoors for the first couple of hard frosts. Along with craving large containers full of soil, some plants are hungry for sunlight. Sun is especially important for tomatoes and peppers. Most edible plants need full sun. But there are a few plants that don’t mind a little shade. Greens and some herbs can be a little forgiving if they don’t get all-day sunlight. I usually put the tomato and pepper plants where they will get the most sun, then let the other plants fend for themselves with the scraps of sunlight that fall elsewhere. I tried two kinds of greens this year along with some lettuce and arugula. I didn’t grow tons of any of them. This year was mostly an experiment to see what will grow and what we’ll enjoy. Japanese Giant Red Mustard – This is a variety of mustard plant with a reddish tinge on the large green leaves. It’s pretty. 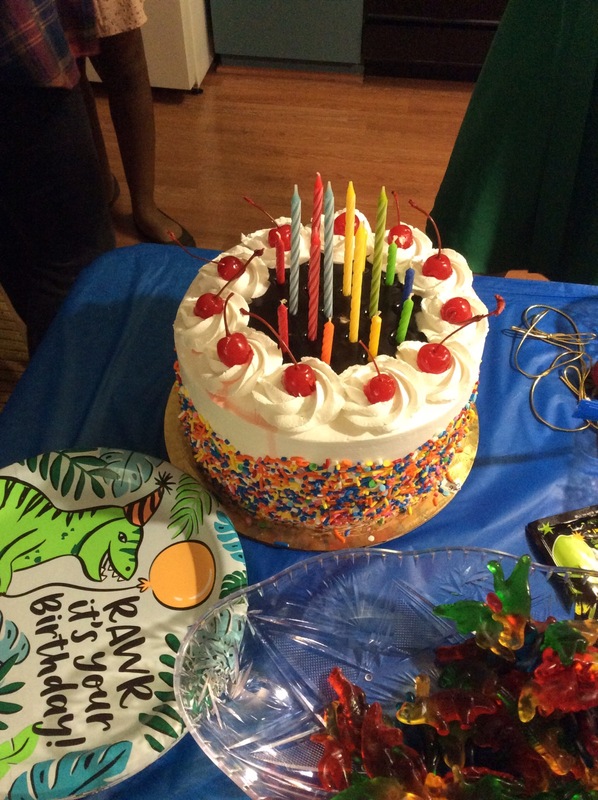 One pot looked more like a decorative plant then an edible. The flavor has a spicy mustard kick which I enjoyed. Leaves can be eaten raw in salads or sandwiches or cooked like Southern greens (which will mellow out that kick). These seemed to want larger pots. While they want good light, they will bolt in heat. So strong, hot sunlight can make them bolt faster. Bolting is when a plant sends out a flowering stem that will go to seed. Too little sun and they won’t flourish. But a bit of shade from a tomato plant, for example, can stretch the growing season. Once Mustard goes to seed the leafy parts stop growing and get bitter. 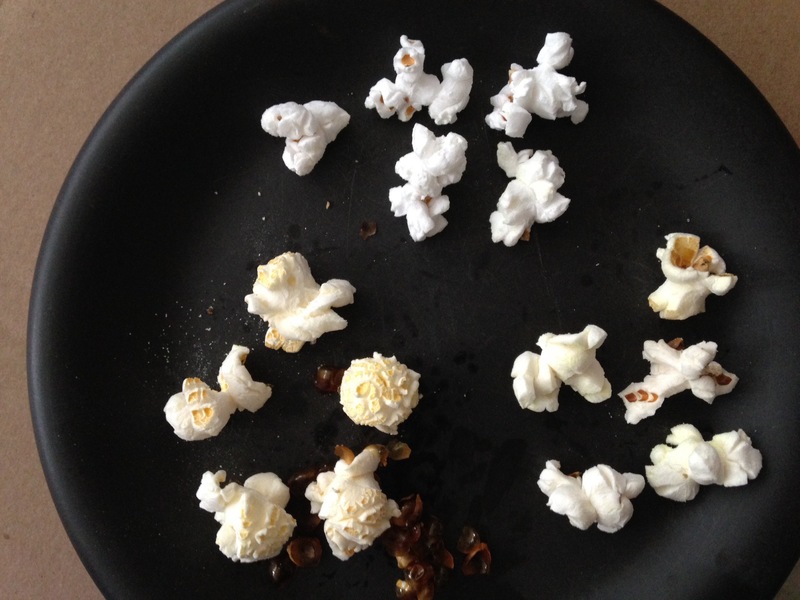 But the seeds can be used for seasoning or grinding into mustard paste or powder. I might have liked Japanese Giant Red Mustard more if they grew well for longer. They were fine through most of spring but were done by late spring and early summer. On the upside some of the seeds self-planted and are now growing in one of the nearby tomato pots. I’ll see how they do. They aren’t very big yet, so they may not get big enough by the time cold weather kills them. Swiss Chard – Bright Lights Variety – This is a variety of Swiss Chard that comes in different color variations. Red, yellow, white, and purple stems have green leaves some of which can be tinged with red. 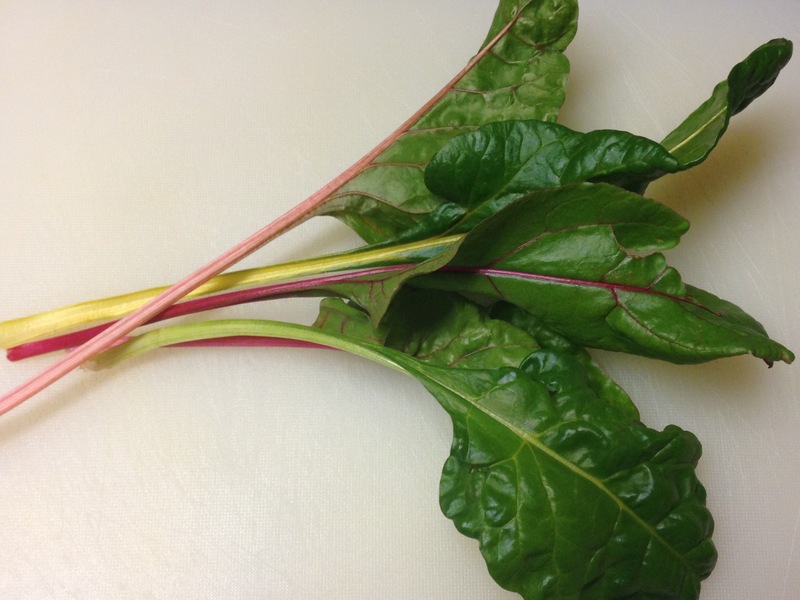 Swiss Chard is in the same family as beets and generally tastes like spinach. It can be eaten raw or cooked. Once they get really big, the stems are best cooked. Or you can cut the stem out and use the leafy parts raw. Swiss Chard was by far the best surprise of my leafy greens experiment. I’ve purchased Swiss Chard in the grocery store, but find that it doesn’t last long in the fridge. That makes growing this nutritious plant extra nice, I just snip a few leaves for sandwiches, adding to salads, or chopping into soup or rice dishes. Plus its absolutely beautiful! Swiss Chard can be fairly cold tolerant (I think), so I’ll see how long it lasts with winter soon upon us. Young Swiss Chard and a mustard plant that had already bolted by late spring. it’s not dead yet. Swiss Chard picked today. Additional posts will cover herbs, lettuce, and arugula. 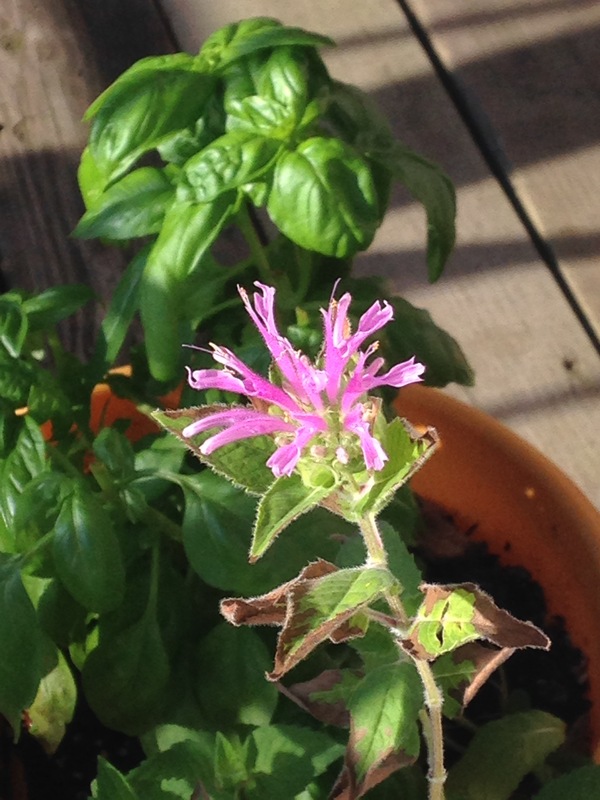 There’s a little spark of life still shimmering in my balcony garden. So I’m keeping a few notes on what worked well. Next spring I may need a reminder. By default the balcony garden is a container garden. 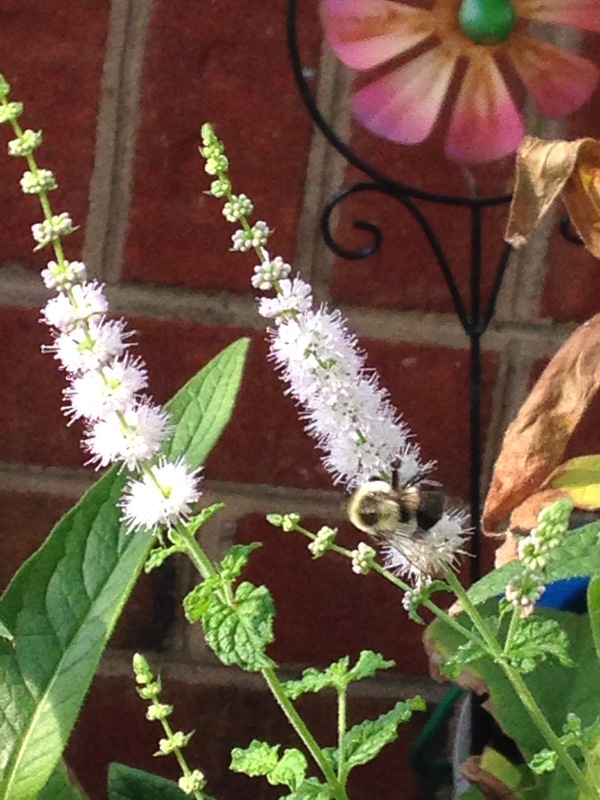 Some plants are better suited to container gardening than others. Size matters — both the size of the container and the kind of plant. Overall, I used larger containers this year than last. That makes a difference. Plants like to stretch out their roots and get comfy. Not only do plants— peppers, tomatoes, leafy veg or herbs — grow larger and produce more fruit in larger containers, the soil will not dry out as quickly on a hot day. That can be a big thing. Once some plants totally dry out, they may not come back. Also, blossom end rot (not a good thing) is more likely if the soil dries too much between waterings. Tomatoes really benefit from a large container. Comparing last year’s plants to this year’s, I got more yummy tomatoes from fewer plants. So if the choice is more plants but smaller containers or fewer plants and larger containers, you’re probably better with larger containers. 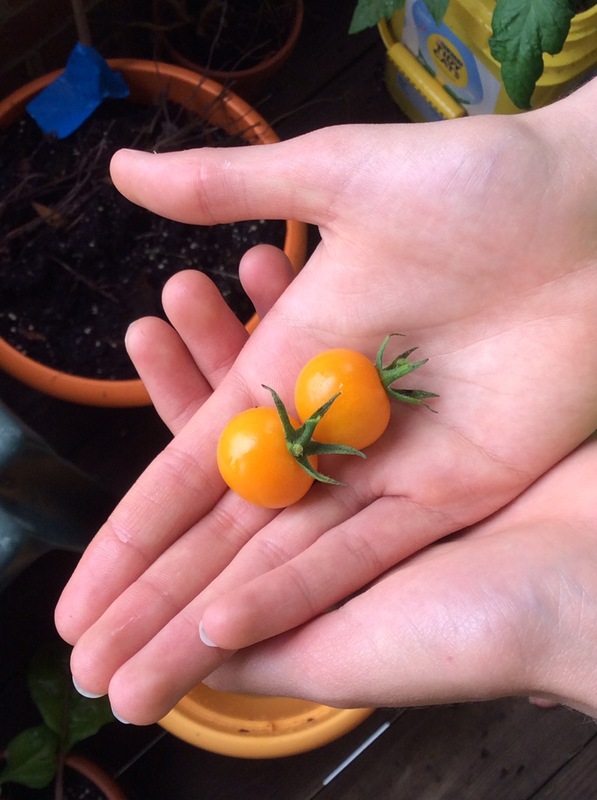 Home-grown and vine-ripened make such a huge difference in the juicy, sweet and tangy taste of a tomato. Grocery store tomatoes never come close (except a few heirloom varieties if you can find them). Farmers markets can have good ones, but around here, those aren’t cheap. Tomato varieties that don’t grow as large are probably going to work better on a balcony, but that doesn’t mean you can’t try. Patio Tomato is a variety of tomato plant specifically hybridized for containers and small spaces, but I’ve never been quite as thrilled with the taste or the quantity. Celebrity Tomato plants grow well in containers, produce more fruit, and taste excellent. Cherokee Purple tomatoes taste great, but want tons of space. My plant last year was fairly healthy but grew only four nice tomatoes. It was a lot of work for four tomatoes. I’m better off buying Cherokee Purple tomatoes at a farmers’ market. I left them out this year. Sun Gold cherry tomato plants can get quite large. Huge even. Stretched upright, my plant this year would have reached all the way to the balcony above us. I had to tape part of it to the wall to keep it from taking over. I’m sure it might have been happier in the ground (or in an even larger container), but it still produced a lot of super tasty cherry tomatoes. That was fine. So, I think cherry tomato varieties are a little more forgiving for containers. Peppers (hot or sweet) generally grow pretty well in containers (larger is still better). 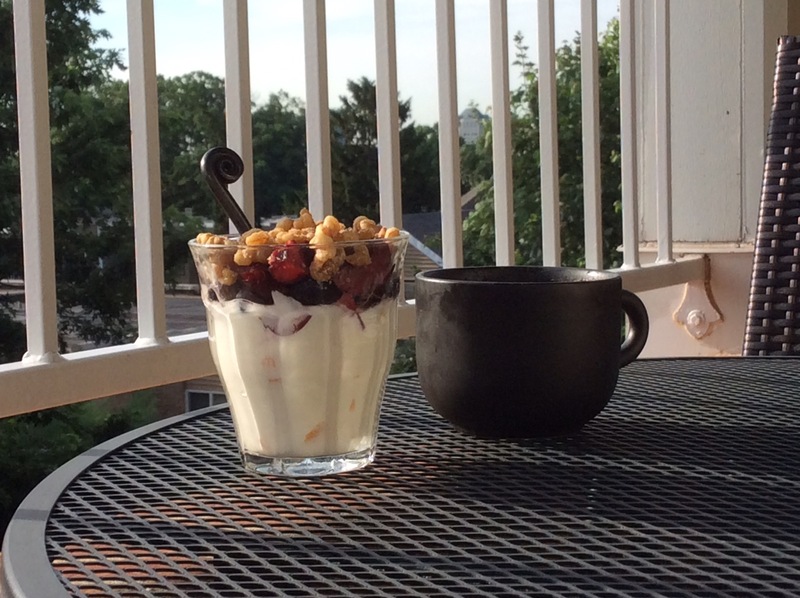 But there isn’t as much difference in taste between home-grown and store-purchased. So I love other things about growing peppers — like being able to just walk out and pick a pepper. It’s nice to see them grow and know that I used only a little soap and vigilance to keep pesty bugs away. Picking them at the peak of ripeness can still provide some amazingly sweet and flavorful peppers. I also like growing hard-to-find peppers that I know I’ll eat. We liked Gypsy Peppers again this year (though one plant seemed a little different and may have been mislabeled). Cow Horn Peppers were a huge hit for the hot stuff. They grew lots of beautiful, twisty, flavorful, larger, hot peppers. I would so grow these again. Garden Salsa peppers weren’t quite as impressive, but they were fine for a pepper with less heat. Dragon Cayenne was another good one. 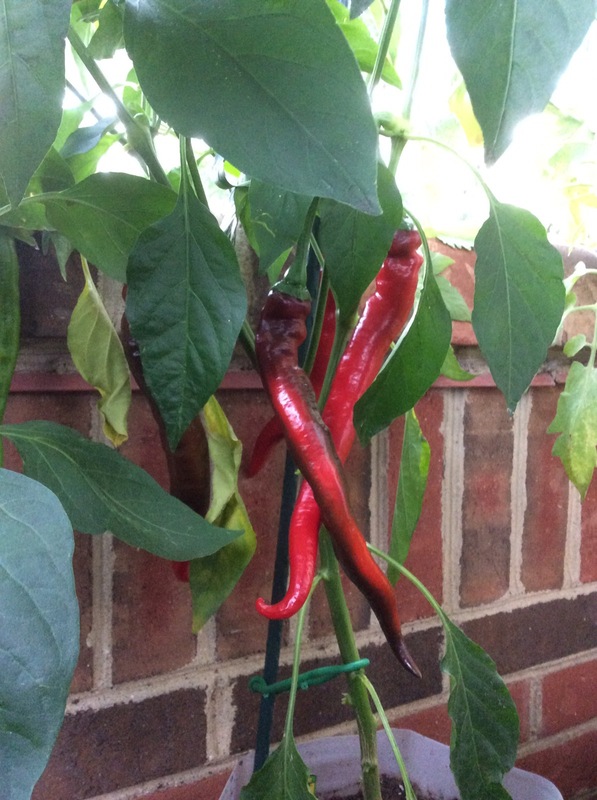 The smaller plant seemed fine in a not-huge flower pot and the little peppers had nice heat and flavor. We generally like jalapeños and did again this year. They like a larger pot for good numbers. They still grow okay in a smaller pot, but the quantity is greatly reduced. Cajun Bell peppers looked almost like habaneros, but weren’t as hot. 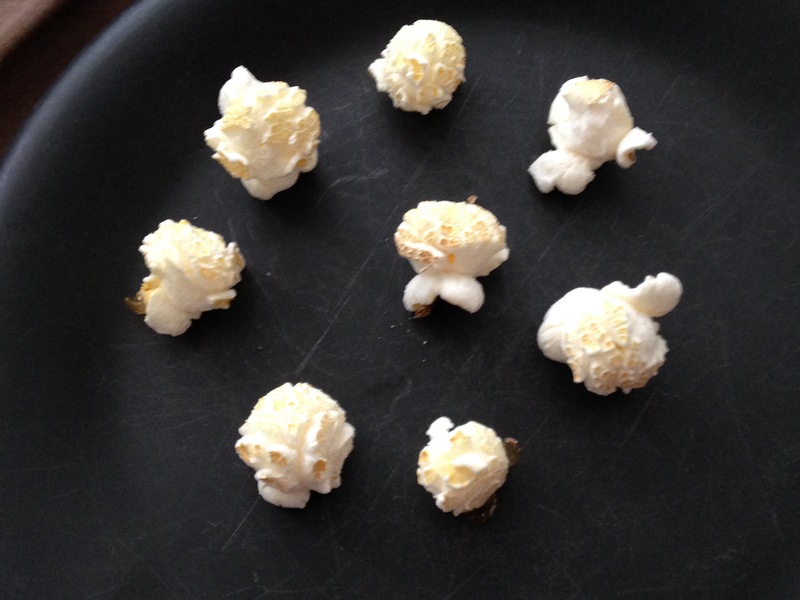 They were thin-walled, and not as convenient to slice as some of the other varieties. I may or may not grow them again. But they were cute. Hot stuff – Cow Horn peppers. Next I’ll cover leafy greens and herbs.